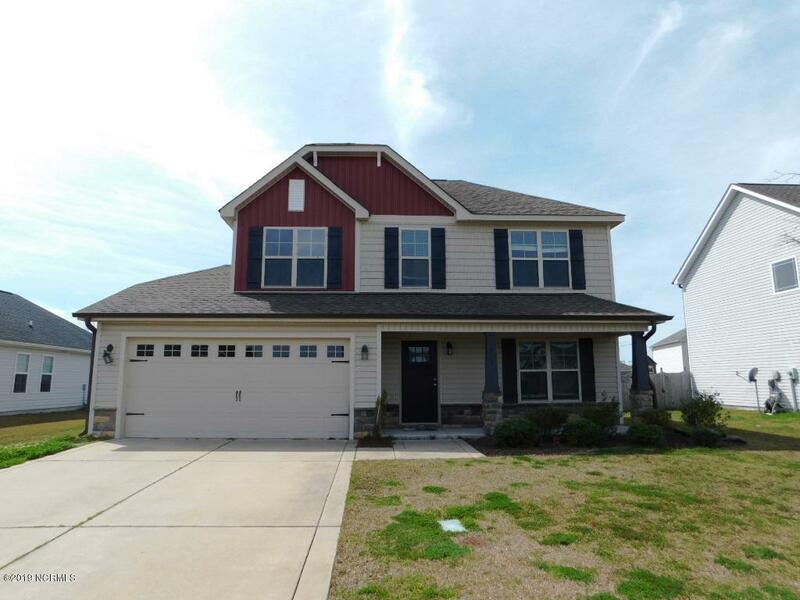 This charming home in desirable Carolina Plantations has all that you're looking for! When you enter, you're greeted by the living room with fireplace. Beyond that is the formal dining room and kitchen, with gorgeous laminate wood flooring, stainless appliances, and a pantry for your extra storage needs. Beyond the kitchen is the half bath and large laundry closet. Upstairs you'll find an open loft space, perfect for a game room, work out area, or den! The master bedroom is roomy, with a tray ceiling, walk-in closet, and private bathroom with double vanity, tub with tile surround, and stand up shower. Also upstairs are the two spare bedrooms and second full bath. The yard is the perfect balance of outdoor enjoyment and low maintenance. Set up a time to see this home today!